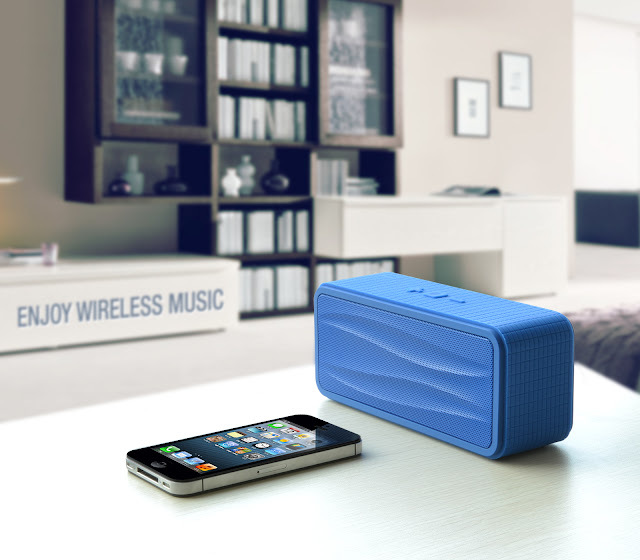 As some may remember, we recently reviewed Divoom's mini wireless speaker solution, the Bluetune-Solo, and it was nice for the size, but just could't provide the same experience as that seen in Bluetooth speakers with dual drivers. Well, the Onbeat-200 comes packing 2 50mm drivers and to add that additional bass seen in most bluetooth stereo speakers, a passive radiator and an eight watt output. This speaker comes at a lower price point to what I have commonly seen at the price point of $79.90 and comes in black, red, blue, and silver from Divoom's online store.